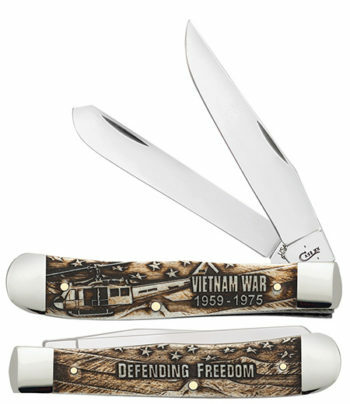 Throughout the history of the United States, our nation has fought many wars in defense of our freedoms. 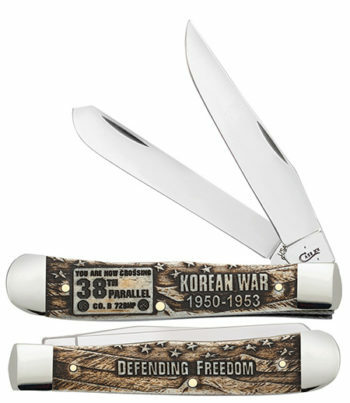 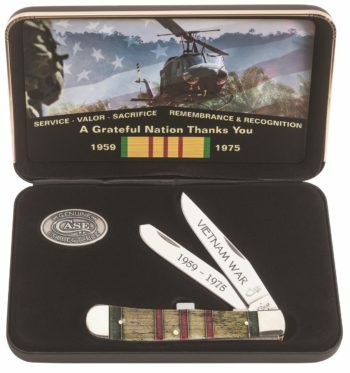 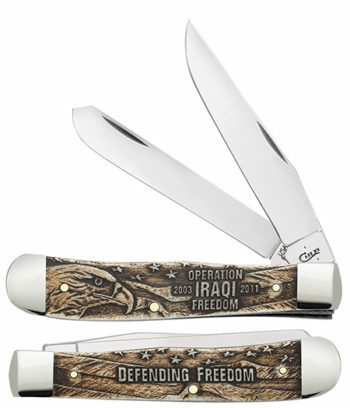 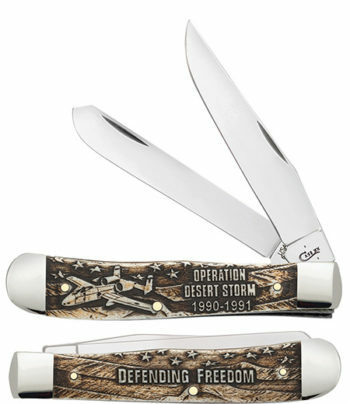 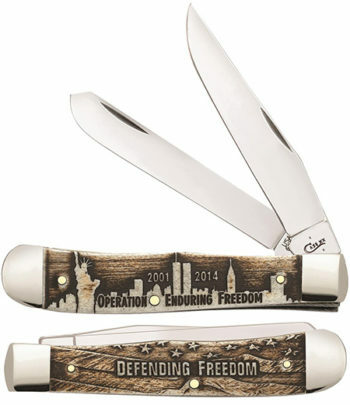 To honor the brave men and women who participated in these efforts, W.R. Case and Sons has created these laser engraved Trappers pictorializing events in these conflicts. 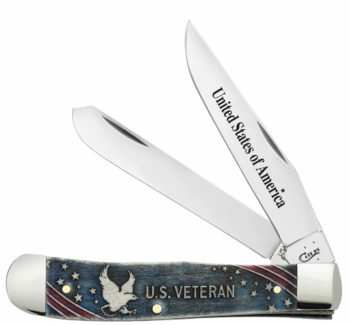 All Smooth Antique Bone Trappers feature Tru-Sharp™ surgical steel blades and nickel silver bolsters. 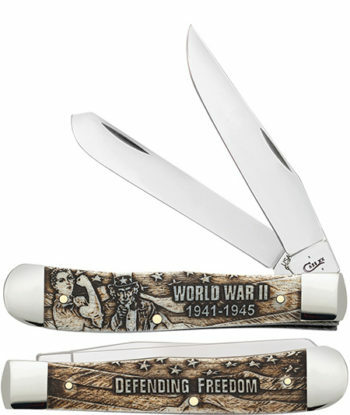 Depicting wars from WWII to Eduring Freedom.